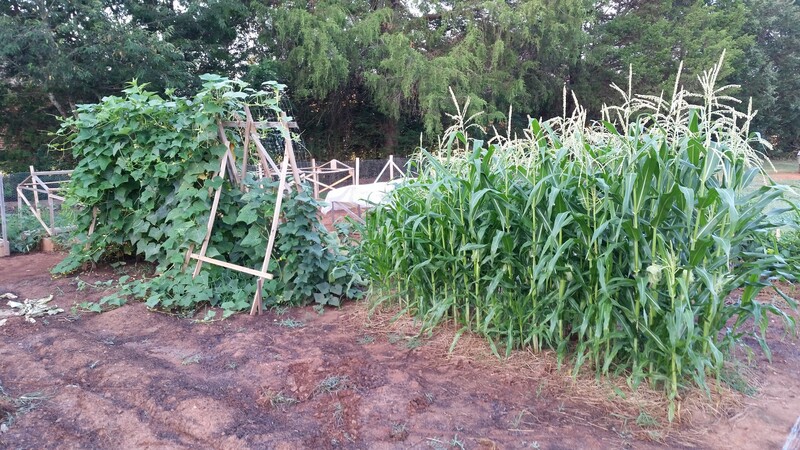 In a traditional farm setting, sweet corn is planted in rows three feet apart with plants every 8-12 inches. This spacing is designed to accommodate mammoth harvesting equipment. However three foot spacing is implausible in a home garden. The male and female parts of a corn plant are in completely different places (see diagram left). 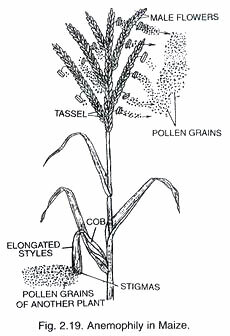 Wind is necessary to carry the pollen from the flowers atop the stalks down to the awaiting silks on the ears. 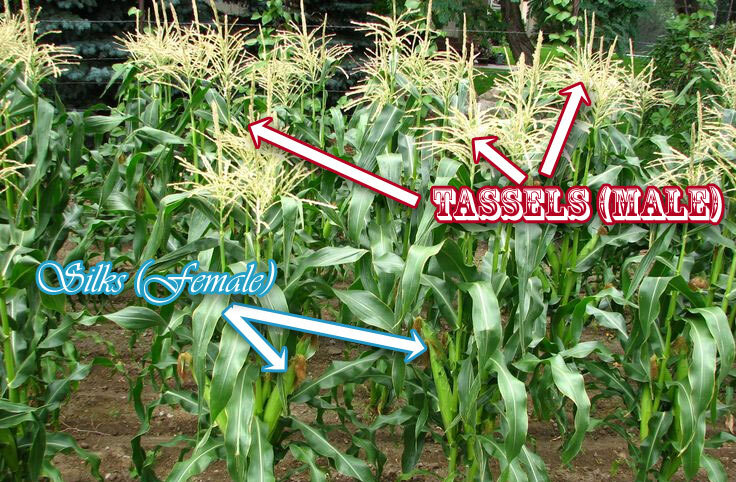 In a field of corn, each row is dependent upon adjoining rows (sometimes two or three rows away) for complete pollination. 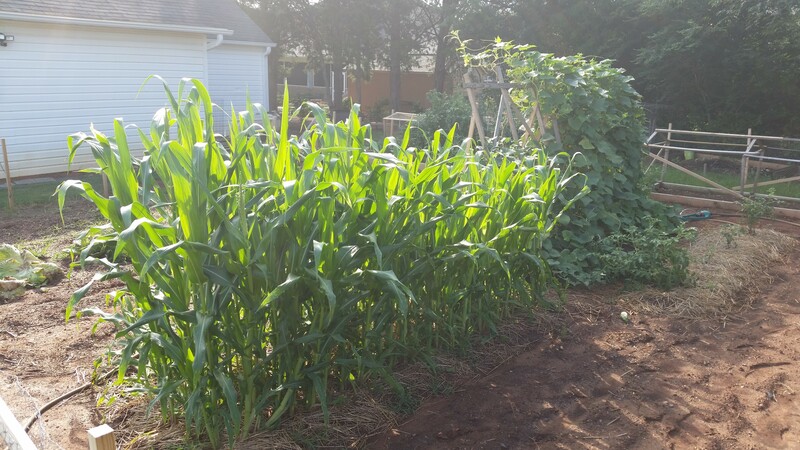 To mimic this process in a home garden, we condense the growing space by reducing plant spacing to 12 inch rows with individual spacing remaining at 8 inches. 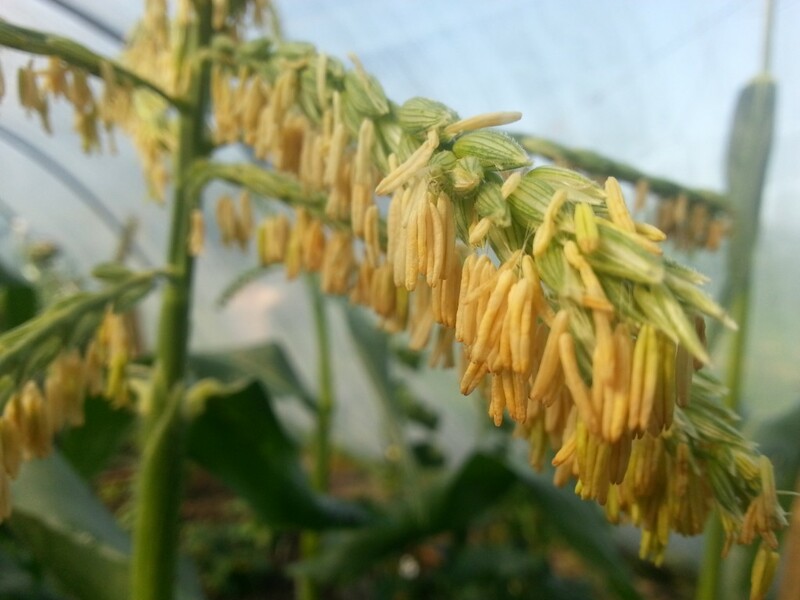 Because of the tighter spacing, pollination is more likely to occur. Reduced real estate does have a drawback in that the plants have less availability of food. We can remedy this through heavy fertilization. 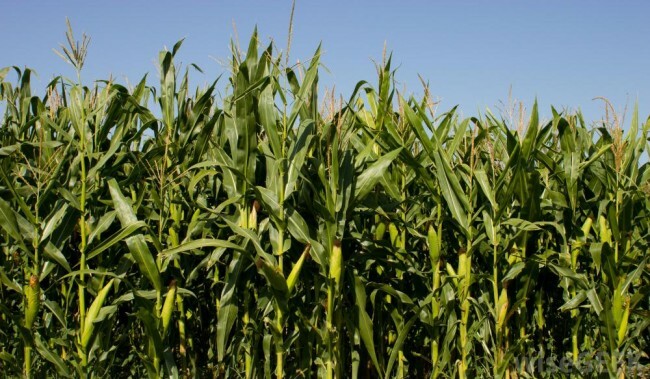 First,we must remember that corn is essentially a variety of grass and it responds vigorously to the application of nitrogen. 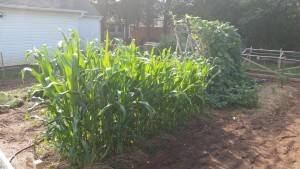 When corn stalks are knee-high, I apply a tablespoon of Nitrate of Soda (15-0-0) around each plant. I repeat this process when plants are 4 feet tall. When tassels are loaded with flowers, I have been known to cut off sets of flowers early in the morning and shake them into the silks below. 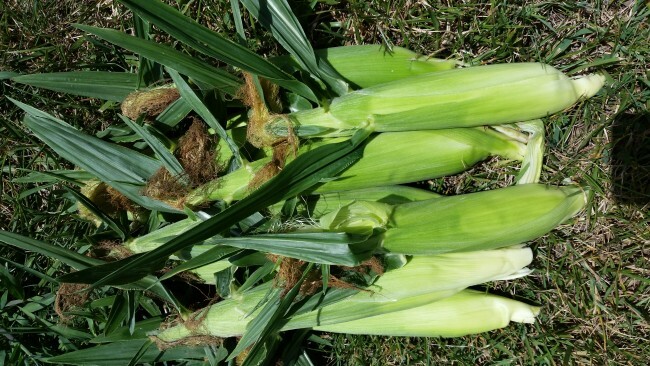 This meticulous process would be absurd in a farm setting, but in a home garden with only 45-60 plants, it’s not an unreasonable effort if the result is full, delicious ears of sweet corn.